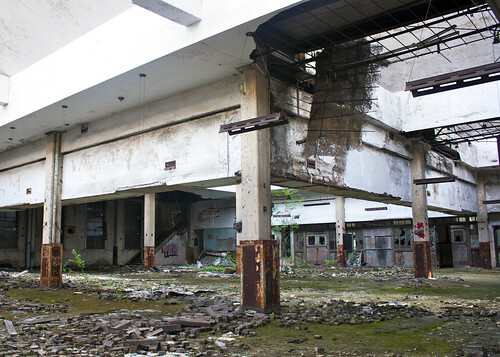 Photo: The abandoned United States Post Office in Gary, Indiana. 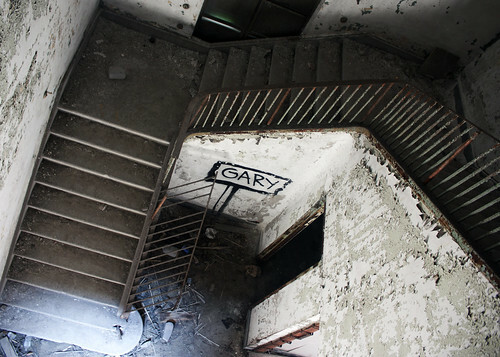 Information on the abandoned Post Office in downtown Gary, Indiana is sparse. The building was erected in 1936 as part of President Roosevelt’s New Deal program aimed at ameliorating the Great Depression. Architect Howard Lovewell Cheney, who worked for the Public Buildings Branch of the US Treasury Department, designed the building. This branch of the USPS supposedly closed in the 1970’s, though sources confirming this have not been located by American Urbex. Photo: The sorting room floor is covered in moss and new growth. Those are not bricks on the ground. Those are individually cut wood blocks that comprised the floor. Photo: The main stairwell to the second floor is awfully moody. Visiting the post office in Gary was the first time that I have ever infiltrated at federal government building. Well, maybe “infiltrated” isn’t the right verb. I had the expectation in my head that getting in would be a little bit difficult. It wasn’t in the slightest. The main entrances to the building were all wide open for anyone off the street to wander in. This urbex location was just as populated with photographers as the City Methodist Church a stonesthrow down the block. You will be hard pressed to find any post office ephemera at this place though. The rooms are devoid of anything but trash brought in by recent visitors. 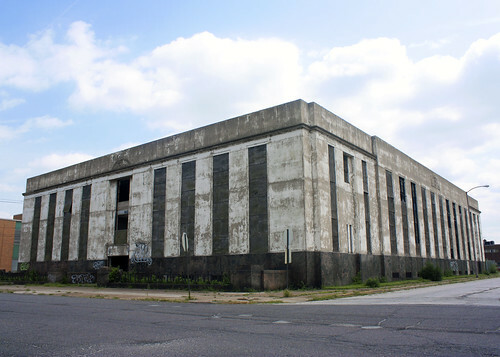 For an abandoned New Deal building, though, the few surprises inside make the visit worthwhile. 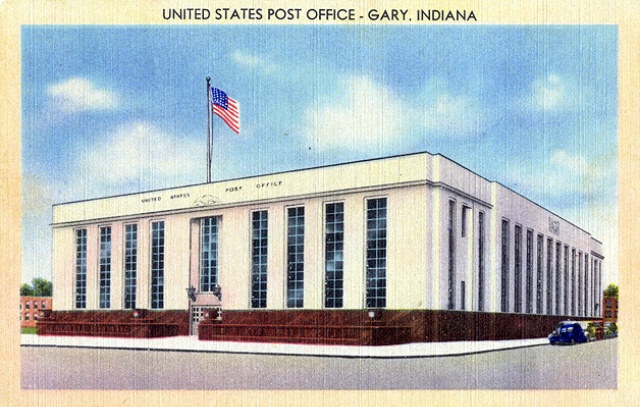 The match between the Gary Post Office postcard and the current-day image is just wonderful. Seems like even the clouds were trying to cooperate. I remember this place it was a beautiful building. I grew up in Gary and have no regrets about it. In fact, as I grow older, I value more the opportunities gained and lessons learned from this old town. My hometown. Thank you for caring enough to value what once was.